In May 2017, Apple released a remixed version of Sgt. Pepper’s Lonely Hearts Club Band to mostly critical acclaim. 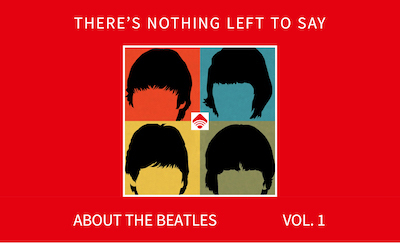 While a slew of audiophiles adored the expanded soundscape, die-hards took issue with any suggestion that twenty-first-century hands might trifle with the Beatles’ masterpieces. After all, you can’t improve on the Mona Lisa, right? Well, it turns out that you can. Even the Mona Lisa needs a little cleaning now and again. What 400-year-old painting doesn’t? With last year’s Sgt. Pepper remixes, the legendary album came into clearer sonic focus, thanks to the application of new technology that simply didn’t exist in the Beatles’ heyday. For Giles Martin, who conducted the remixes with Sam Okell, the key is not to impinge upon the band’s original music, but rather, to deploy contemporary technology to allow it to “breathe.” New advents in sonic engineering afford producers like Martin, the youngest son of Beatles producer George Martin, to widen the sound field, which, in turn, establishes greater definition and separation among each track’s voices and instrumentation. But The White Album presents special challenges, of course, with its cruder, harder textures in comparison with the high-concept Sgt. Pepper. As Martin remarked last week at a listening session of the remixes at New York City’s Power Station, “There’s a beauty in the flawed quality of the performance that ends in the masterpiece that is The White Album.” But to accomplish this end, Martin and Okell had to take a light touch when approaching the album’s contents. They must contend with the finely-attuned ears of Beatles aficionados, who have clear expectations when it comes to the Fab Four’s sound. During the listening session, Martin debuted several tracks from the upcoming White Album release on Fri., Nov. 9, but none of them stood out like “Long, Long, Long,” George Harrison’s plaintive ode and one of the compositions that found its origins in the band’s 1968 sojourn to Rishikesh. With the 2018 remixes, “Long, Long, Long” comes out of its shell. The song remains the same, of course, but Martin’s expanded sound field heightens the drama as Paul McCartney and Ringo Starr’s unparalleled rhythm section goes toe-to-toe with Harrison’s meditative acoustic guitar and vocals. With “Long, Long, Long,” Martin takes a great song and makes it better, allowing us to hear the tune with new ears even as we revel in the original sound that the Beatles created all those years ago. If “Long, Long, Long” is any indication, the mysteries and revelations at the heart of The White Album are only just beginning to emerge. Ken Womack is an internationally renowned Beatles authority regarding the band’s enduring artistic influence. He is the author of Maximum Volume: The Life of Beatles Producer George Martin (The Early Years: 1926-1966). The second volume in the series, entitled Sound Pictures: The Life of Beatles Producer George Martin (The Later Years, 1966-2016), is forthcoming in 2018. 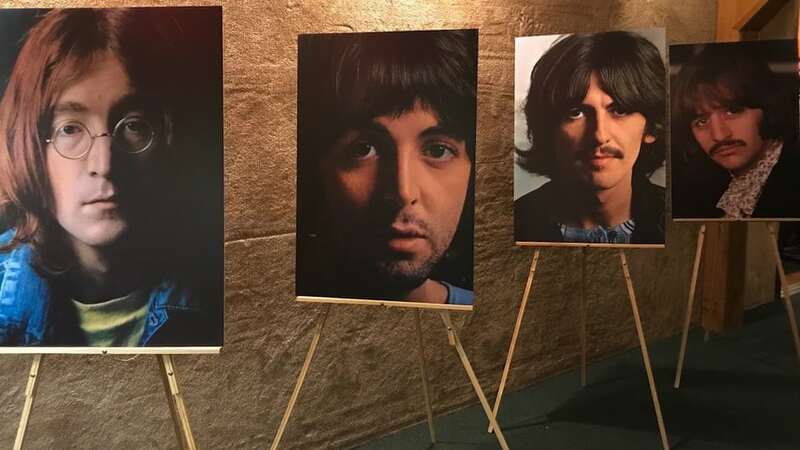 His previous Beatles-related books include Long and Winding Roads: The Evolving Artistry of the Beatles and The Beatles Encyclopedia: Everything Fab Four. You can learn more about Ken’s work at kennethwomack.com. Ken , no link to listen? I’ve heard all the “white album” session on bootlegs and such over the years, and there’s so much creativity in that period, despite the belief that they were falling apart as a band. I enjoy reading Chris Thomas’s recollections of those sessions. Thanks for highlighting “Long Long Long,” George’s offering to God and an overlooked masterpiece of ambience, innovation, and creativity. I’m looking forward to Martin’s freshening. He did a great job on Peppers. That’s quite a promotion, Kenneth. I am not sure I want to play along.The article is more about Gles Martin than about the music. Regarding the music there is a problem of cultural assumption. The somewhat muddied sound of albums in the sixties, should be replaced by crispiers, more separation, definition, more bass and drums? The Beatles were responsible for their sound. Oh and I don’t think Giles can be nor should be the caretaker of how we should feel, hearing the new remixes. In art nobody participating in the process of creation wants anything else than to put somethin in it, and let the audience have a go with it. The effects and affects are never in the hands of the artist… entertainers however might believe they do… Giles Martin should not, and the Beatles’ legacy deseerve a more serious approach. Oh and God or Kavanaugh forbid, if Giles fooled around with Revolution #9. Giles doesn’t need a reputation like Daniel Goldreyer’s after his restoration of Barnett Newman’s ‘Who’s Afraid of Red, Yellow and Blue III’ (1967/1968) really no restoration is needed here.